Following a change of the graphic charter of the company Century 21, the real estate agency Gastaldy asked Ideogram Design an update of its Internet site. 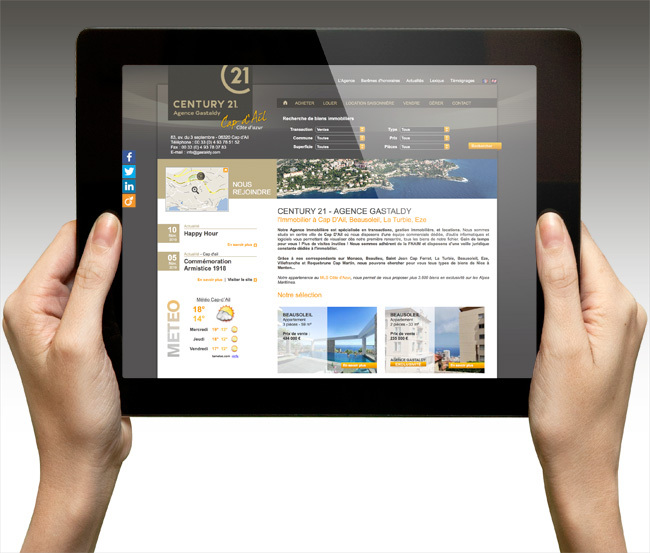 Ideogram Design reacted quickly to change the Century 21 logo on all elements of the site where it was present. A small graphic update was necessary to comply with Century 21's graphic charter.